The status of the so-called Republic of Artsakh is a matter of hot dispute. According to the UN and all its member countries, Nagorno-Karabakh was never officially a country at all. The region is claimed by Azerbaijan and labeled a disputed territory by the international community, but it declared independence during the breakup of the Soviet Union, and has been ruled separately from Azerbaijan since the early 1990s. In terms of military defense and day-to-day administration, Artsakh is heavily integrated with neighboring Armenia (most people living there are culturally Armenian). But the region's government officially considers itself an independent country, and Armenia maintains a formal separation, neither recognizing Artsakh's independence nor making it officially part of Armenia. The only formal recognition of Artsakh's independence comes from three other unrecognized, self-proclaimed countries - Abkhazia, South Ossetia, and Transnistria - plus a long list of local governments inside the US who have made symbolic declarations of support (presumably at the urging of that country's Armenian political lobby). The old constitution declares that the two names are "the same", and the new one similarly states that both official titles "are identical". "Artsakh Republic" is also still in use by some official sources, probably as an alternate English translation. Minor spelling variants seen in government sources include "Nagorno Karabakh" (without the hyphen) and "Nagorno Karabagh". What Does "Artsakh" Mean, and Why Choose it Over "Nagorno-Karabakh"? "Artsakh" is probably easier to remember and pronounce for most people, but the change is also related to the history of the two names. "Nagorno-Karabakh" is actually the Russian name of the region, from when it was part of the Soviet Union, but the "Karabakh" part is based on its name in the Azerbaijani language (likely coming from ancient words meaning "Black Garden"). The territory now being disputed is the highland area of the historic Karabakh region, with the Russian word "nagorno" (or "nagorny") added on signify that. In other words, "Nagorno-Karabakh" means "Upper Karabakh" in Russian. 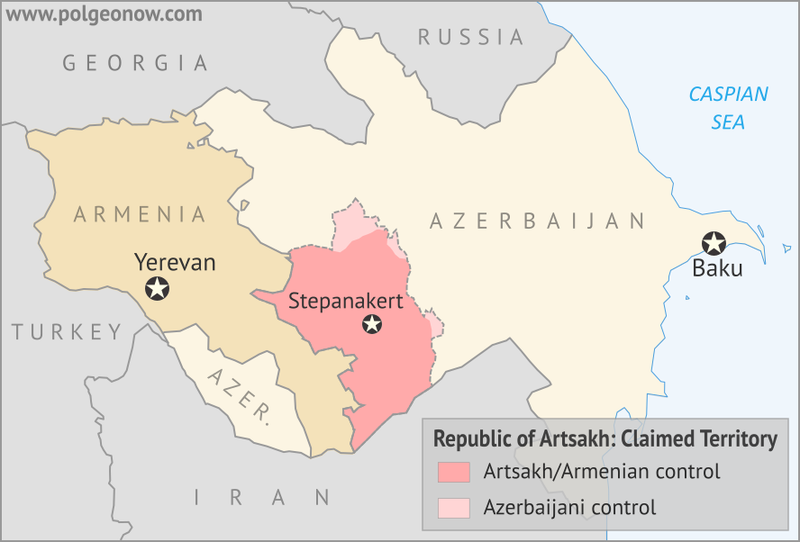 "Artsakh", on the other hand, is a thoroughly Armenian name for the territory. Though the actual origin of the word has been lost to history, it was the undisputed name of an Armenian province that occupied the area from ancient times into the Middle Ages. Given that, it's no surprise that this name is preferred by the Armenia-oriented government of the disputed republic, or by its culturally Armenian majority population. When Did The Name Change Officially Happen? When a fully-recognized country, like the Czech Republic, changes its name, it's fairly simple to the confirm that the change has gone into effect: It soon gets registered in UN databases and the ISO standard list of country codes and names. But for a disputed breakaway region like Artsakh, there's no such official international documentation. As with Malawi's 2012 flag change, we at PolGeoNow were unsure at first if the change had officially come into effect yet - part of the reason we haven't published an article until now. News outlets reported on Nagorno-Karabakh's Feb. 20 referendum, but none seemed to say when the change would actually become official (at least, not in English). [The changes will] enter into force from the moment of publishing the drafts in the "Official Bulletin of the Nagorno Karabakh Republic" within five days after announcing the resolution of the Central Commission or the Supreme Court on the results of the the [sic] Referendum. We couldn't find the Official Bulletin in English online, but a declaration on the final referendum results from the Central Electoral Commission is dated to February 23. This seems to suggest that the official name change happened within five days of that, by February 28, 2017. Confirming that the new name has been adopted, the official website of the republic's president is using "Artsakh", even though some other government websites haven't yet changed their headers. PolGeoNow reports on every country name change that happens in the world! To see the full list, view all country name change articles. 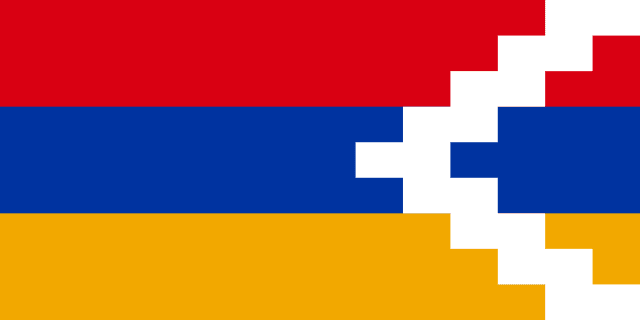 Graphic of the flag of the Republic of Artsakh is in the public domain (source).